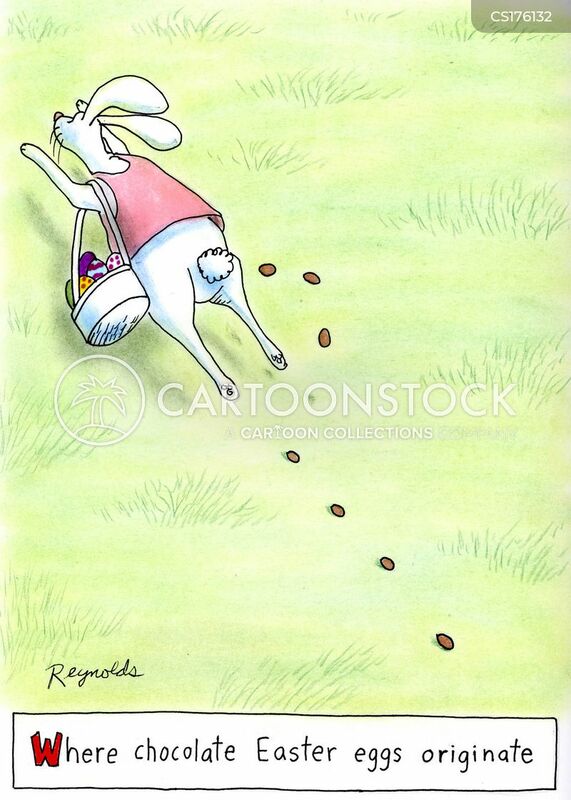 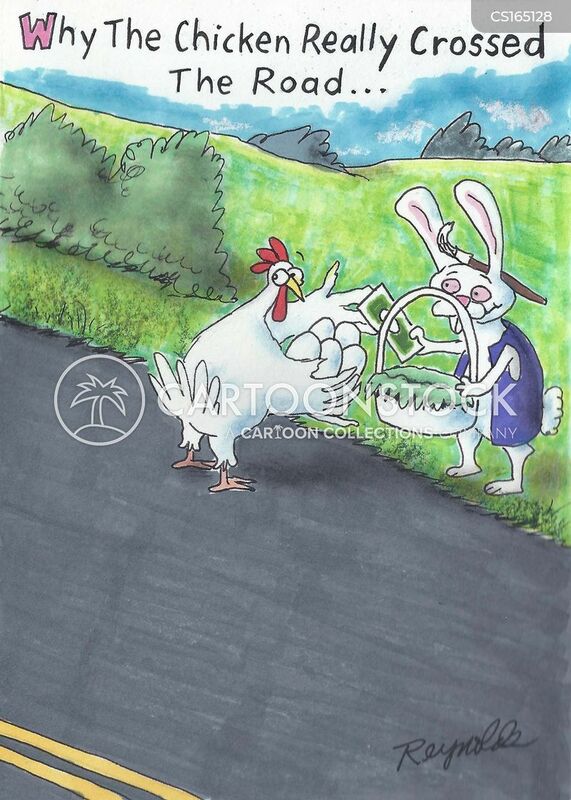 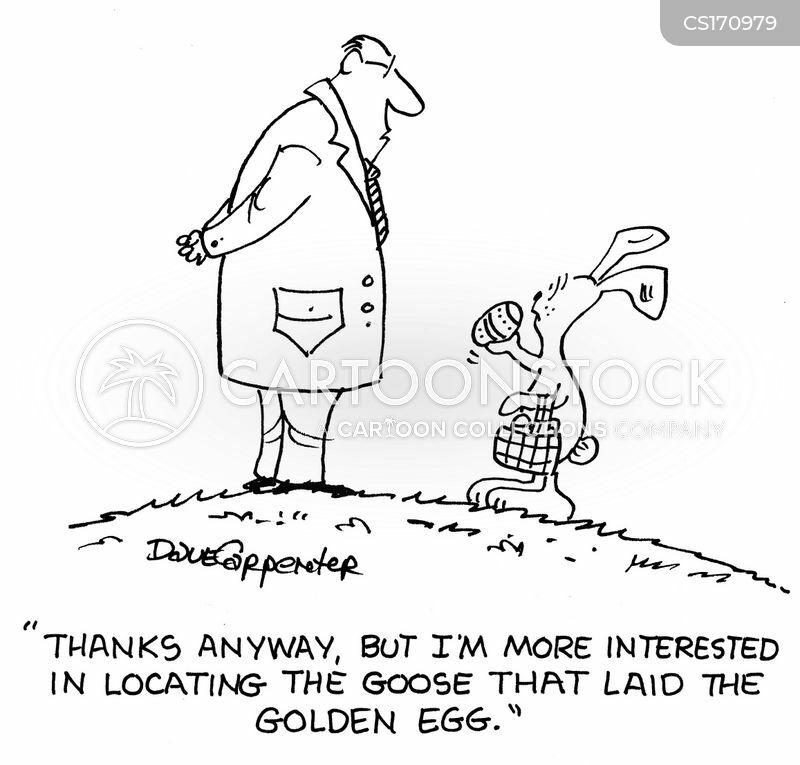 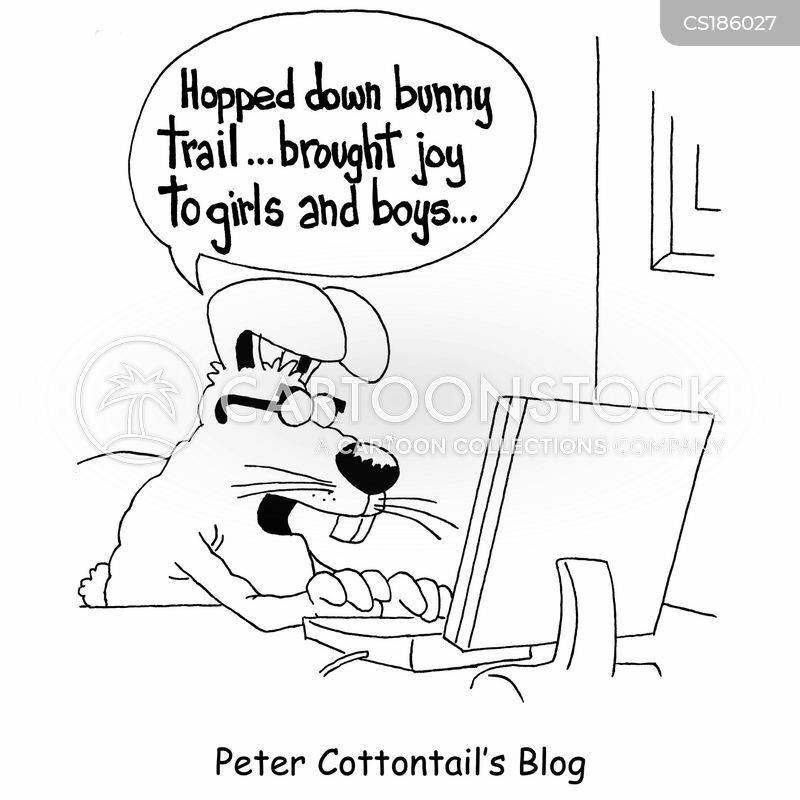 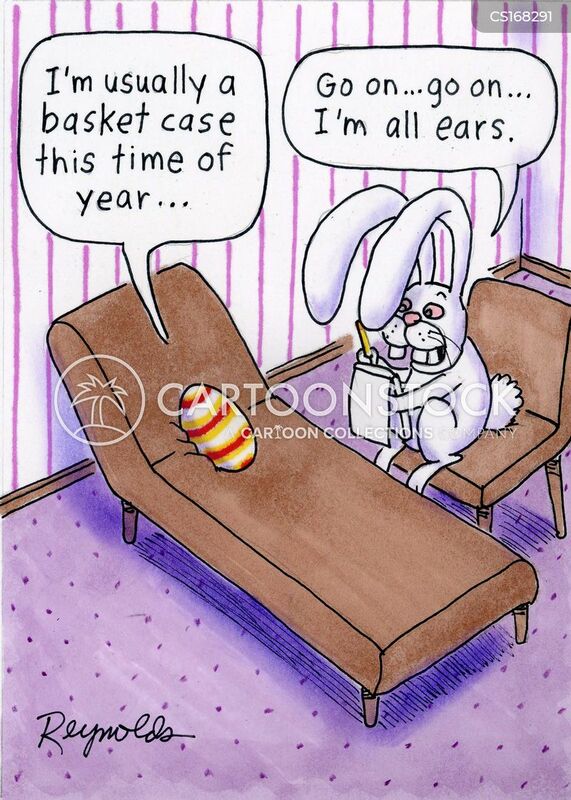 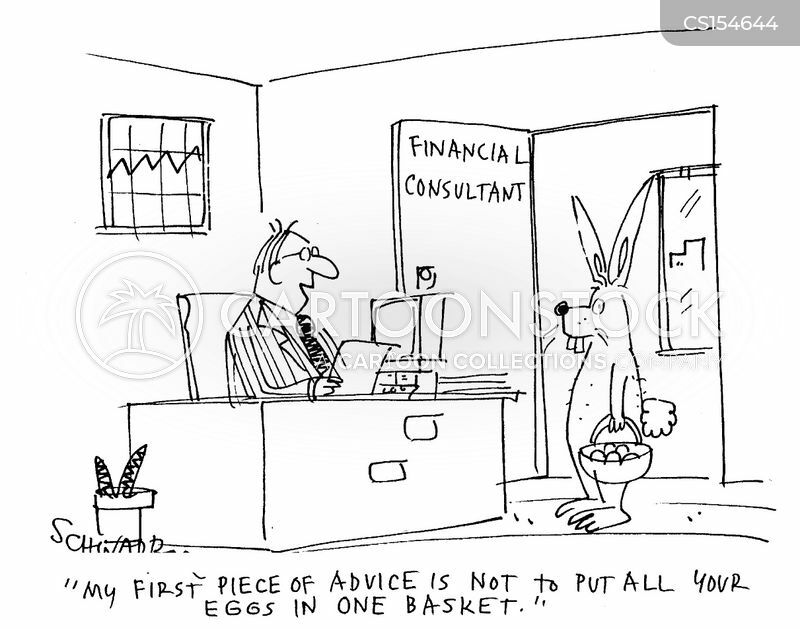 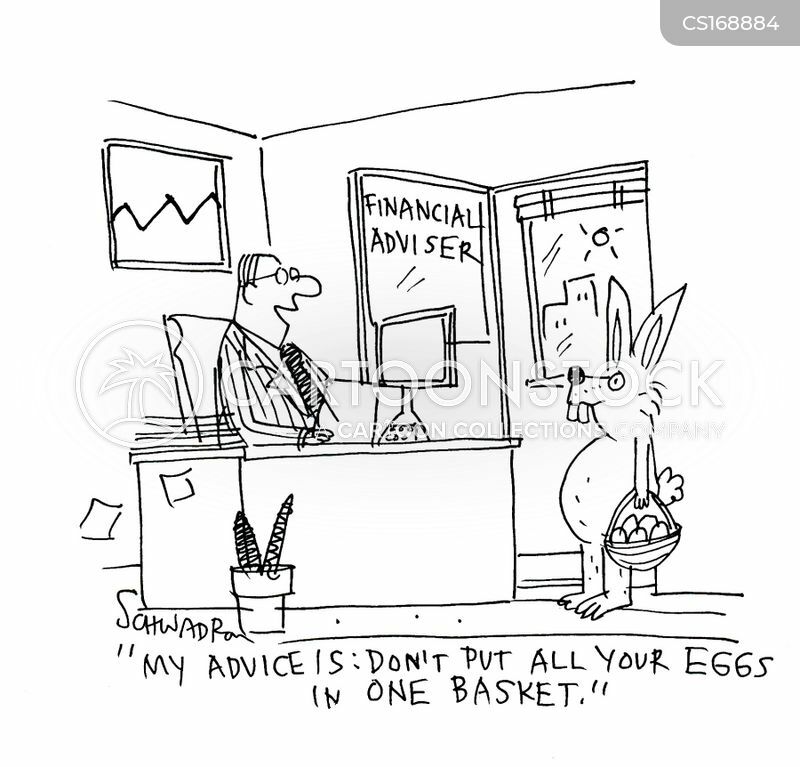 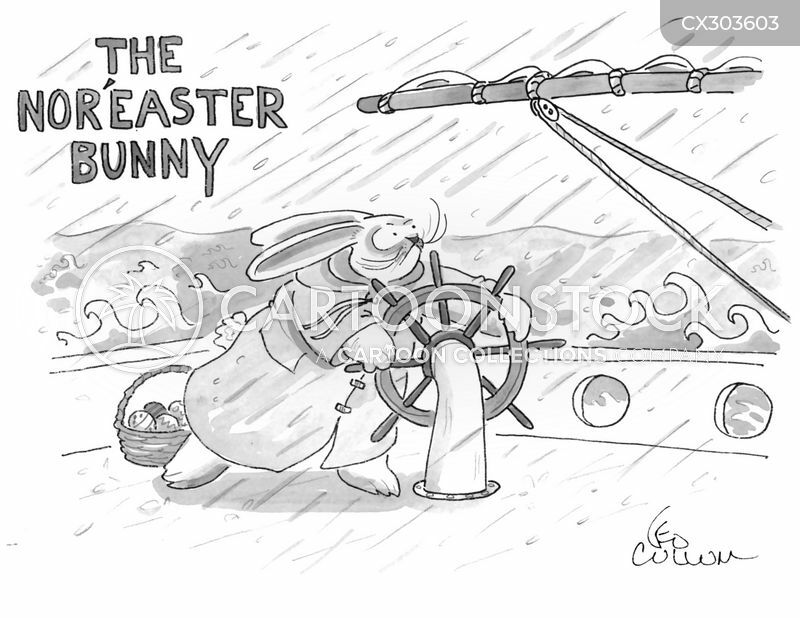 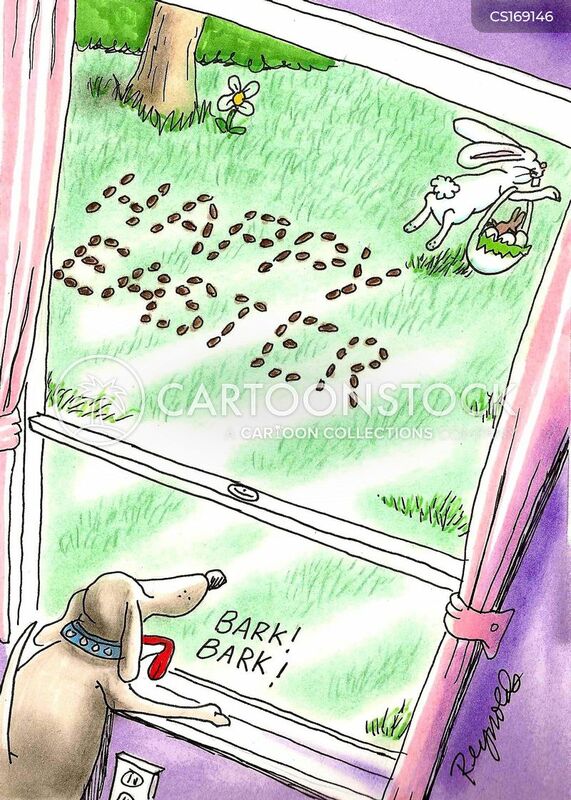 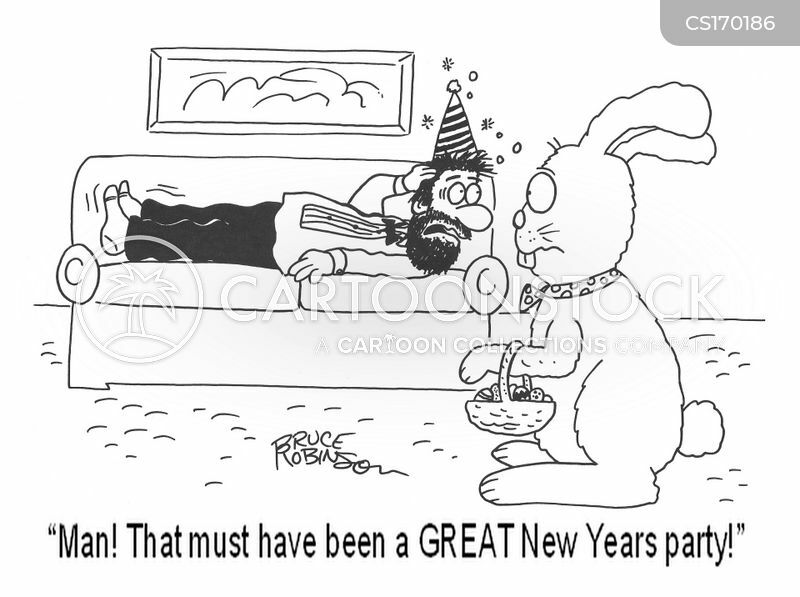 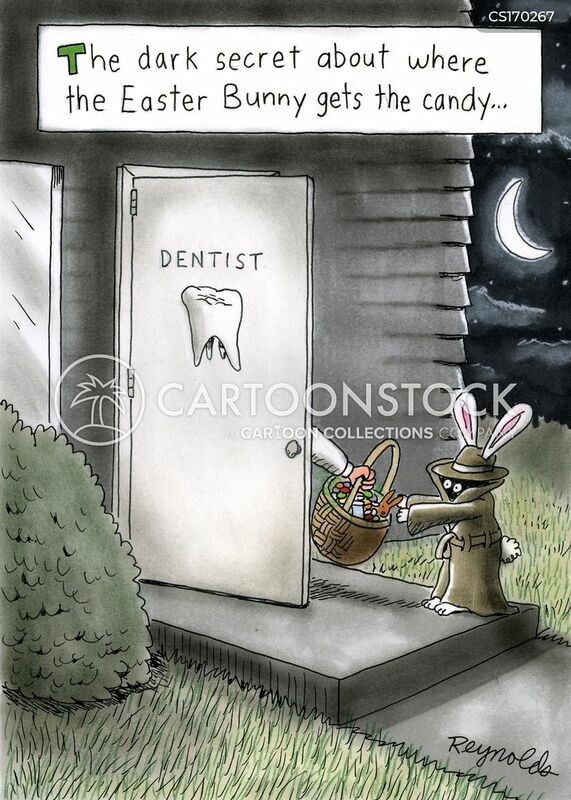 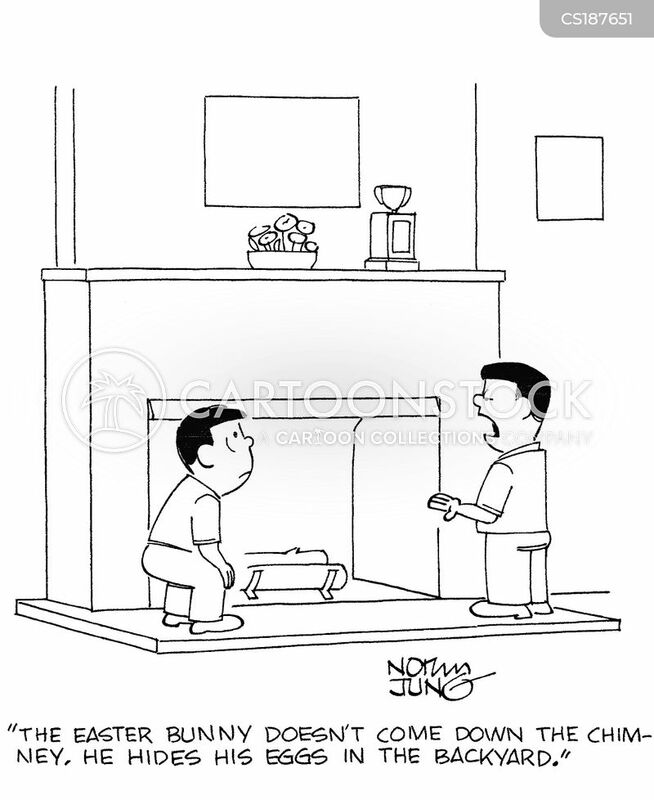 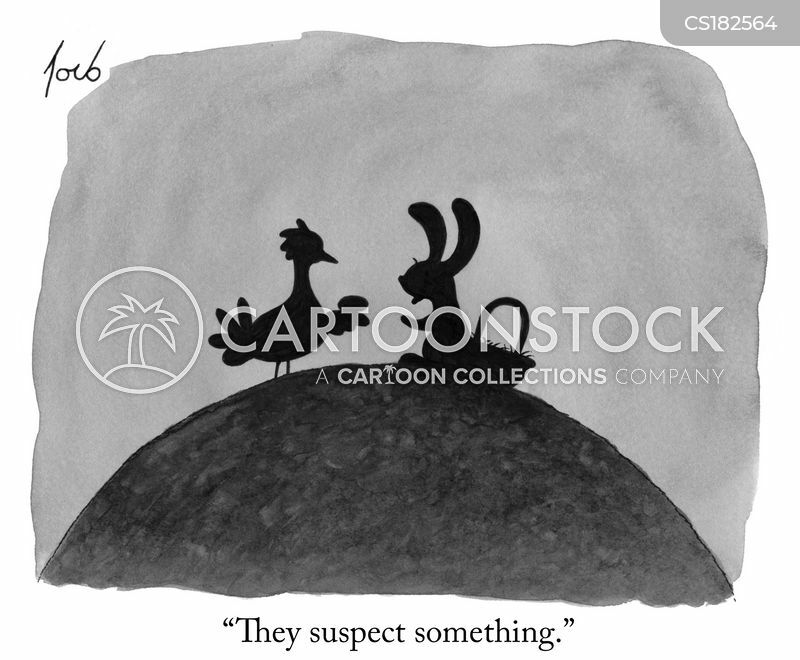 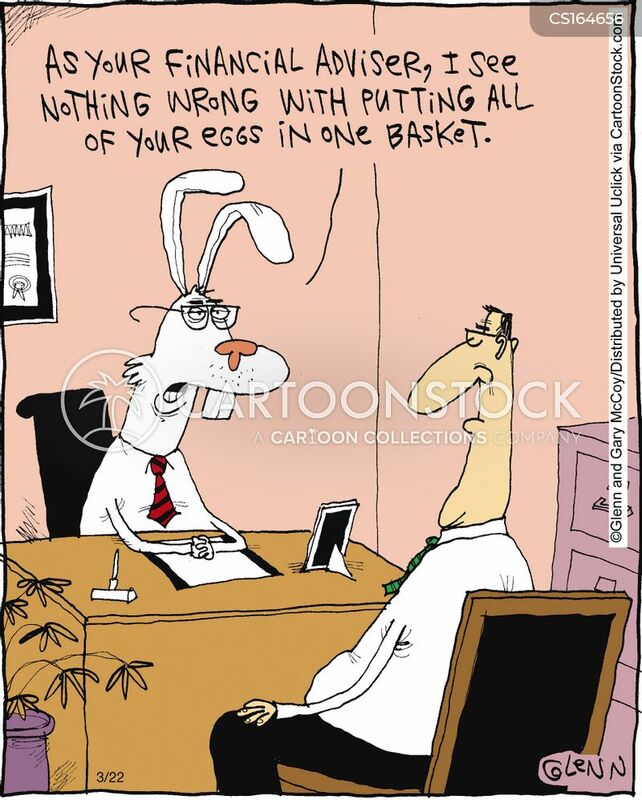 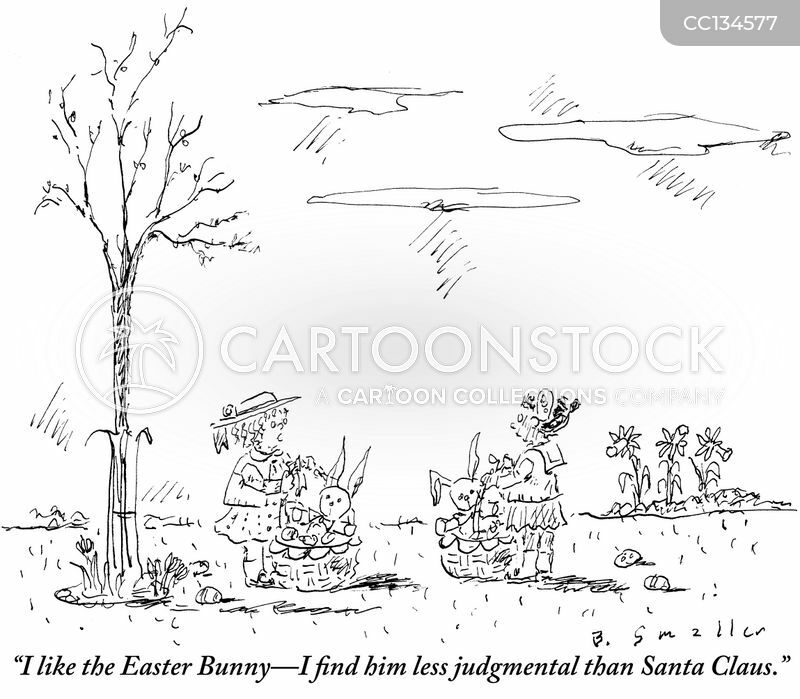 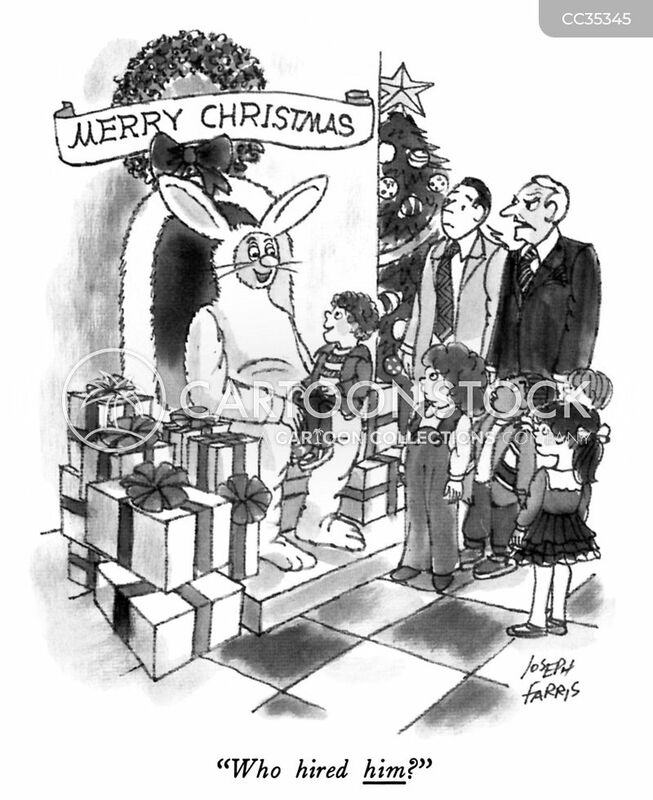 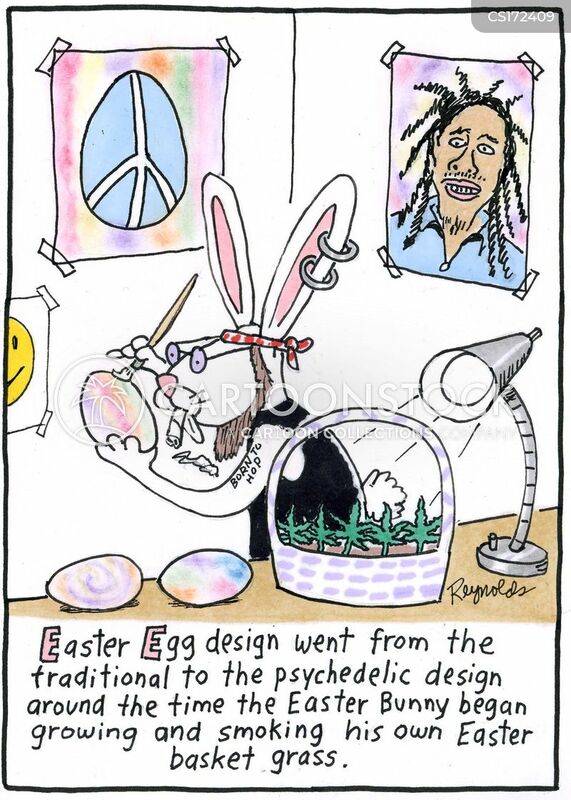 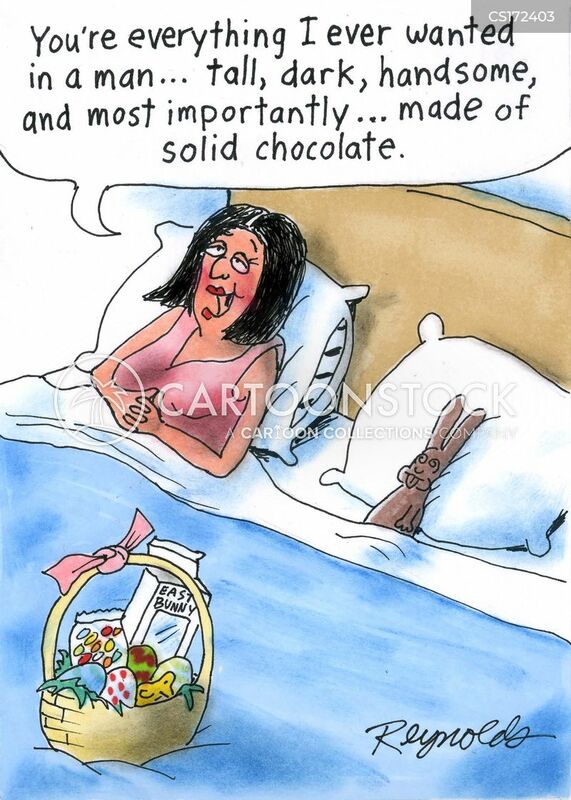 "I like the Easter Bunny - I find him less judgmental than Santa Claus." 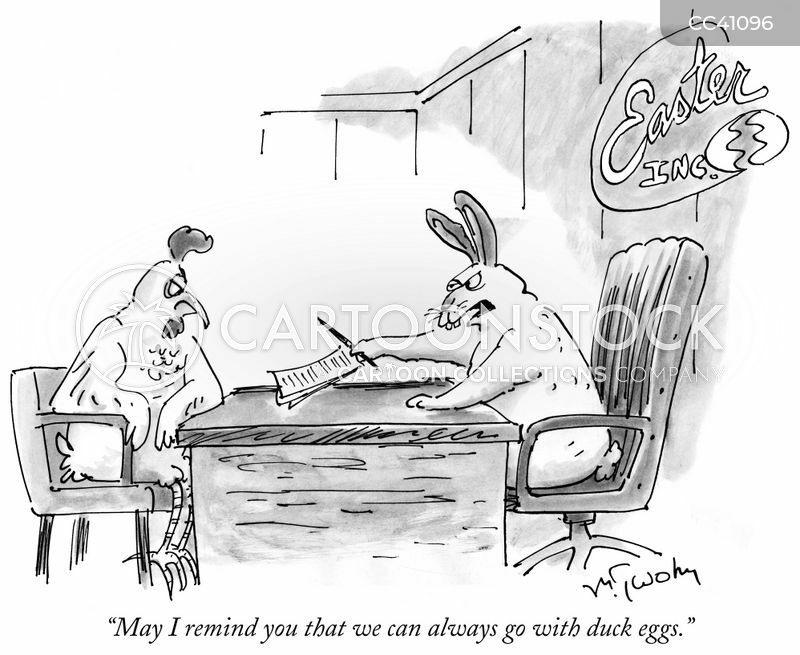 "May I remind you that we can always go with duck eggs." 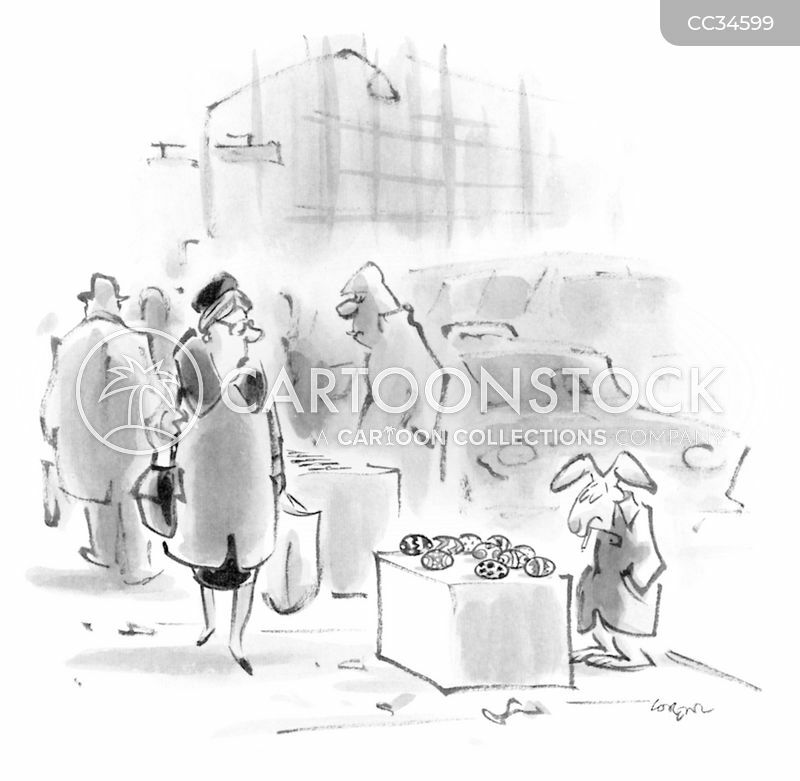 Easter bunny selling Easter eggs from the top of a cardboard box on a busy urban street. 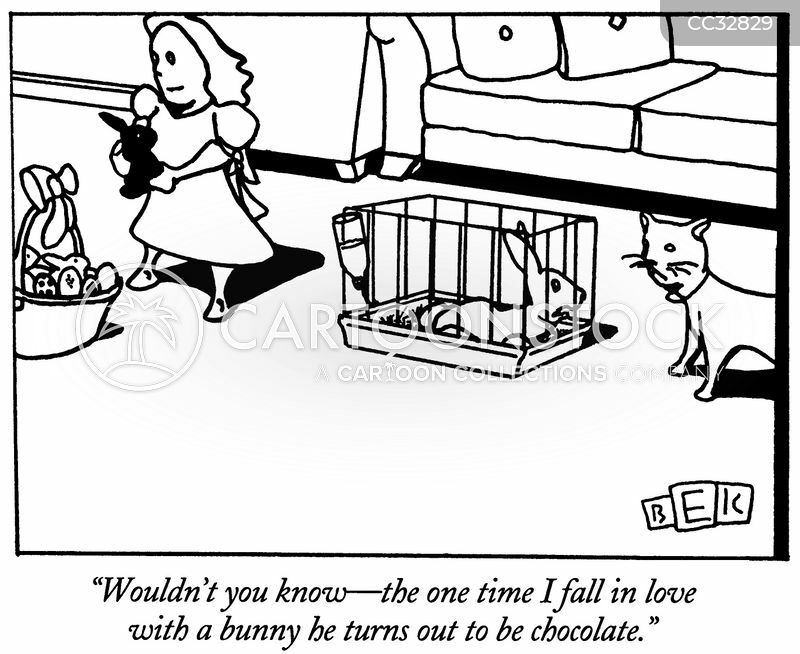 "Wouldn't you know-the one time I fall in love with a bunny he turns out to be chocolate." 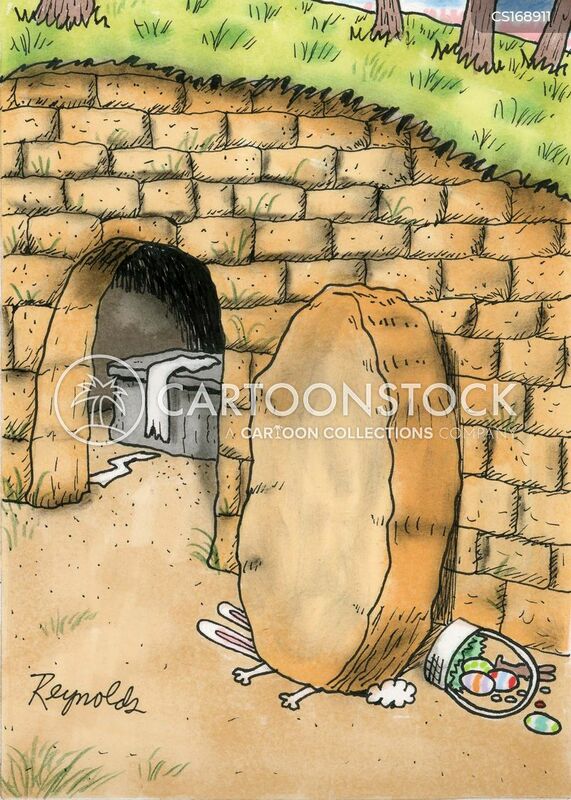 Easter Bunny crushed by tomb stone. 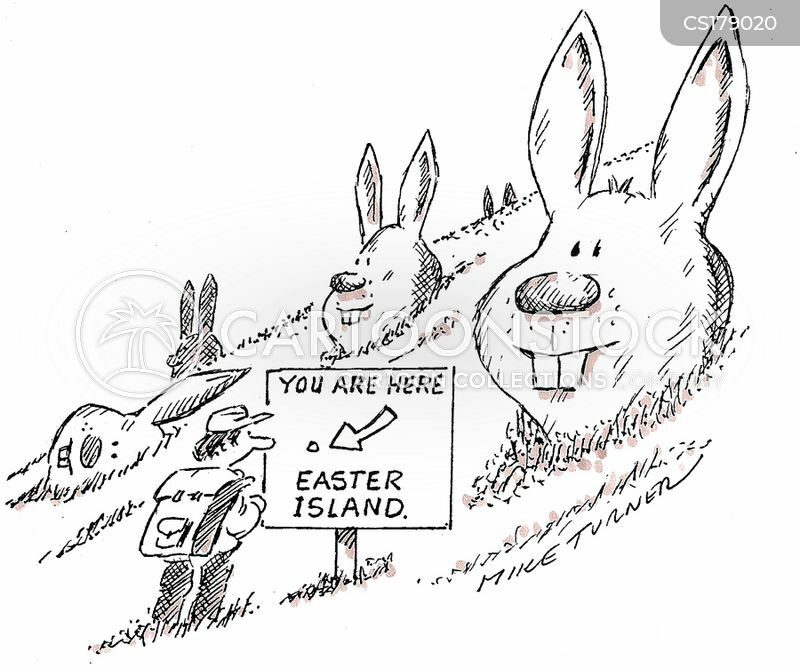 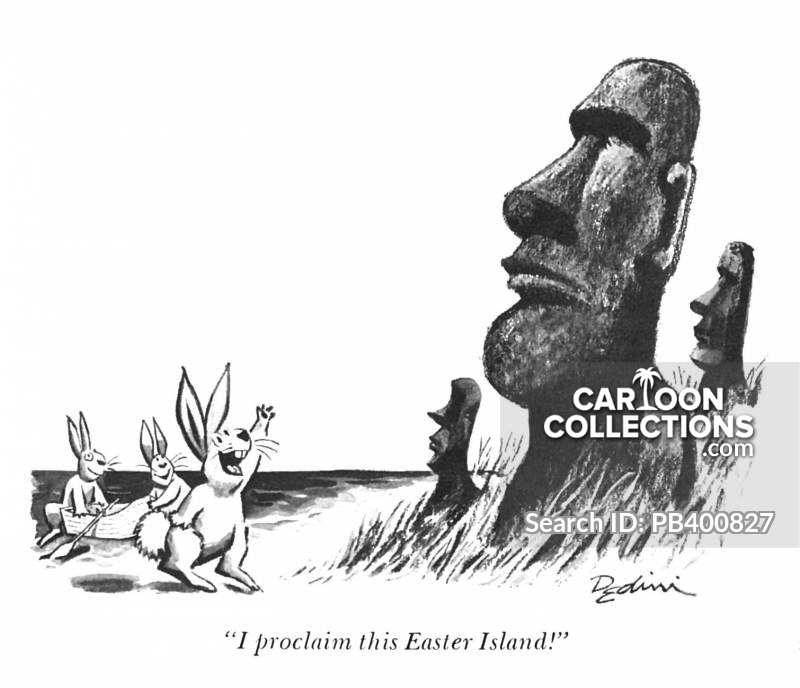 "I proclaim this Easter Island!"